Ms Pfeiffer served 25 years as an Active Duty military officer in Human Resources including 6 years as a Commanding Officer and two overseas tours. As Director of a 230 person organization, she improved veteran’s records transfer to the Veteran’s Benefits Administration resulting in more timely Disability Payments. While serving at the Pentagon, she advocated for equitable benefits with congress, leading to increased disability and survivor benefits. Elaine holds a Master of Arts in Rehabilitation Counseling from the University of Cincinnati and a Master of Arts in Strategic Studies from the Naval War College, Newport Rhode Island. 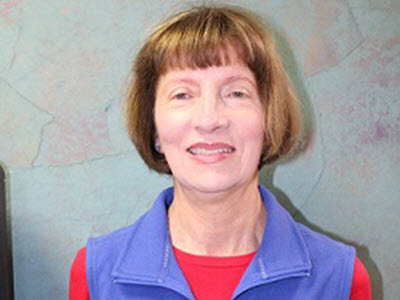 She is currently retired and enjoys volunteering at the Serendipity Adult Activity Center, the Eagle River Nature Center and as a church pianist. She is married to Marc Derosier, a veteran, who retired from the Civil Service. They reside in Eagle River.